Suitable for 28mm or 1/56 scale figures and fully cast in resin, you get two distinct artillery positions (both apx 4″ or 100mm long) and a left and right sided end stop in the pack. 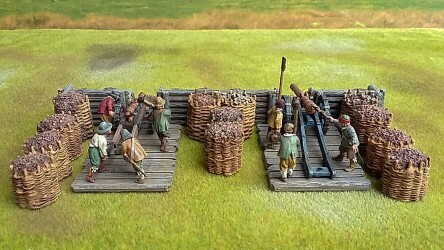 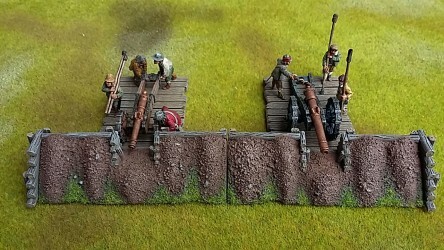 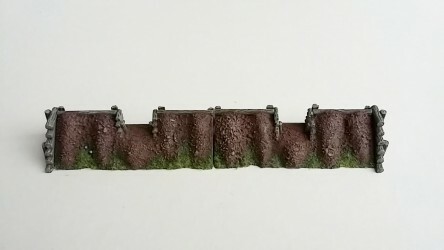 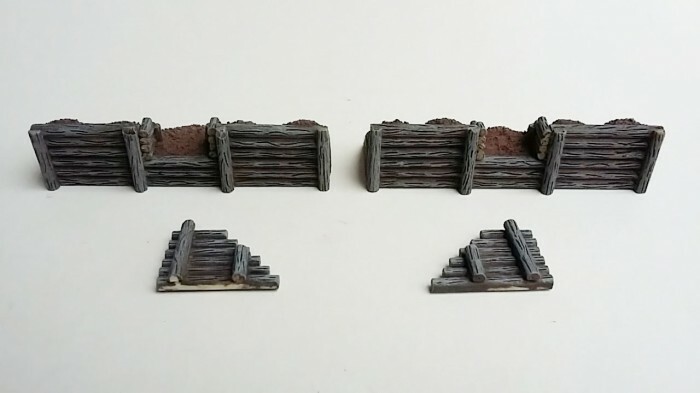 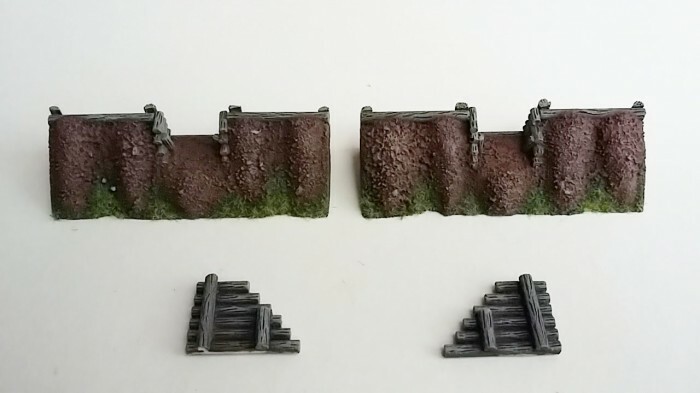 These can be used individually or together to represent a one or two gun artillery battery and are compatible with my Breastwork Sets. 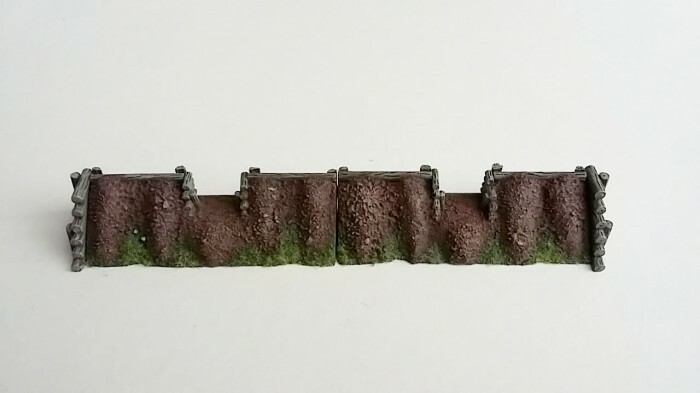 So you they can be used as stand alone pieces or connected to sections of the Breastwork Sets. 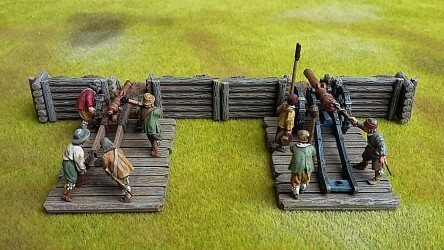 Available in raw resin or fully painted and flocked (as shown in the pictures).